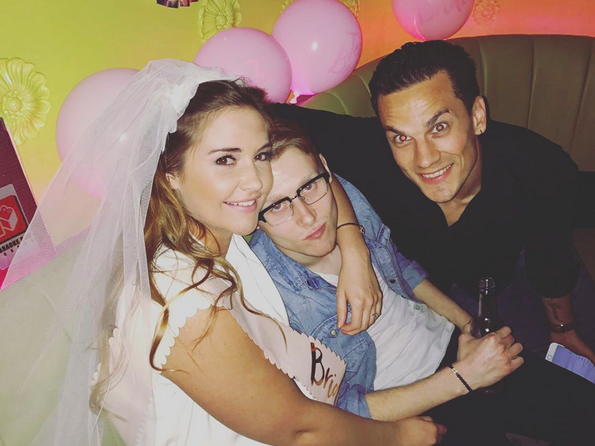 Fans of Jacqueline Jossa and Dan Osborne have been feasting on tidbits of information about their upcoming nuptials ever since they got engaged in 2015. EastEnders star Jacqueline hit the town with some of her nearest and dearest on Saturday night (13th May), for a big celebration of her upcoming married life – and it was a star-studded affair, as guests included castmates Jamie Borthwick (Jay Brown), Aaron Sidwell (Steven Beale), Tilly Keeper (Louise Mitchell), Jasmine Armfield (Rebecca Fowler) and Shaheen Jafargholi (Shakil Kazemi). 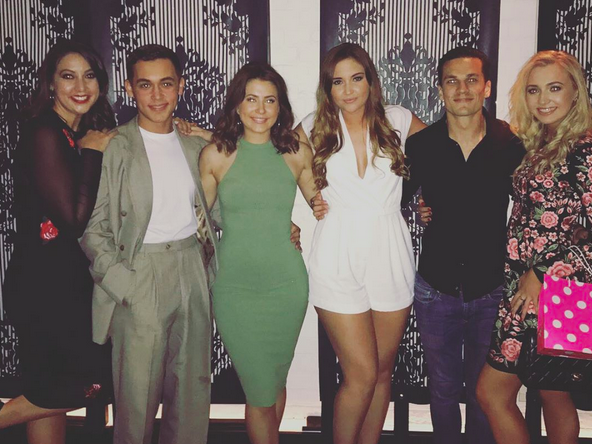 EastEnders night out for Jacqueline’s hen! After the club, they took the party to a private karaoke room, where the crew belted out their best vocals to tunes such as It’s Raining Men by The Weather Girls, Adele‘s Hello and All Saints classic Never Ever. Jacqueline, 24, clearly wanted the spotlight on her for her special night; not only did she wear a gorgeous white playsuit, but she topped it all off with a white veil and a sash reading ‘Bride To Be’ – and we don’t blame her! At one point, she shouts ‘It’s my hen do!’, making it very clear she was having an amazing time. Jac, and 25-year-old Dan share two-year-old daughter Ella, while former TOWIE star Dan has son Teddy from a previous relationship. We’re looking forward to seeing how Dan celebrates – and then after that, not much is left but to say ‘I do’… exciting!